revealed Daniel’s research endeavour and showed his technical proficiency and scientific maturity. 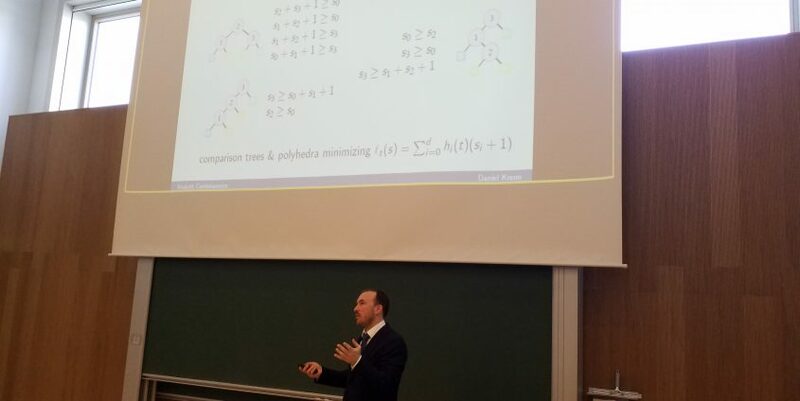 Daniel managed to explain key issues of his research so that it was accessible to the general audience, and at the same time he impressed the experts by his highly nontrivial and interesting work. 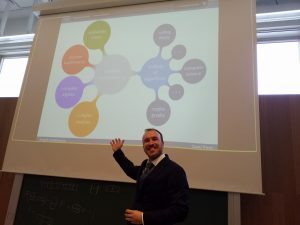 The presentation was followed by a vivid discussion which covered theoretical issues along with algorithmic aspects all the way to purely didactical questions, for instance how to communicate complicated mathematical topics to children. 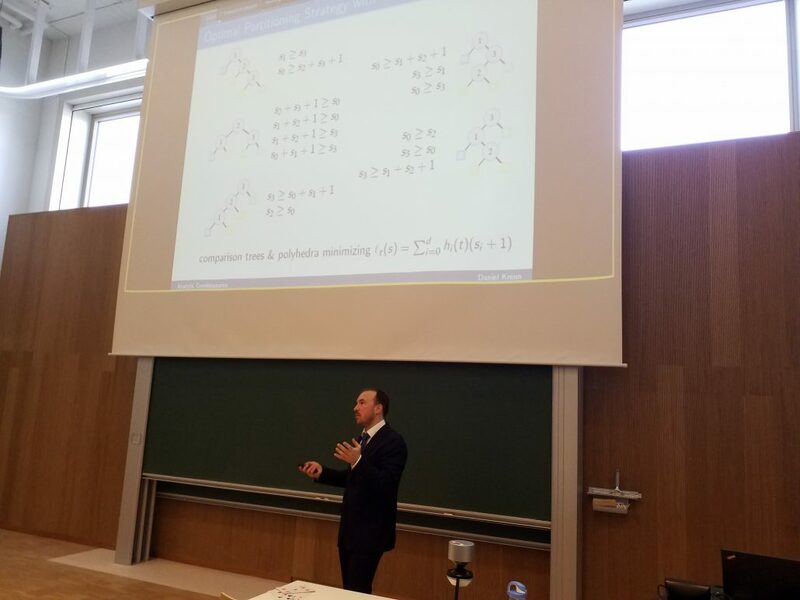  We wish Daniel Krenn all the best and many more results that advance the state-of-the-art in Analysis of Algorithms and Analytic Combinatorics!